I wrote a small augmented reality app for an exhibition presenting the works of Théophile Alexandre Steinlen. The exhibition invited a number of comic book artists to create works on the theme of Steinlen's famous cats. 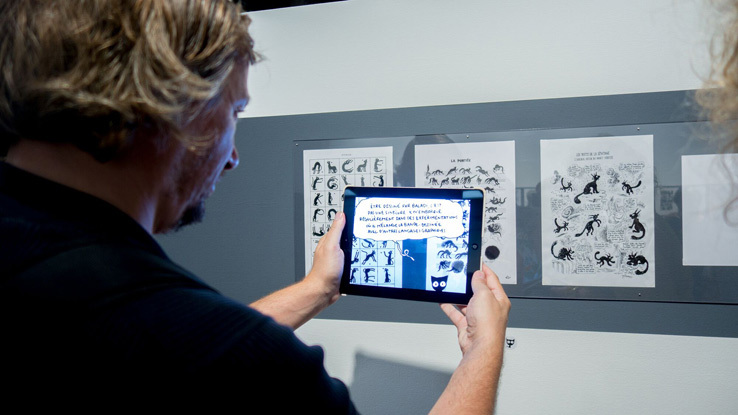 The app augments 10 of the presented pieces with (classical) 2d animation. The animations give life to a cat who provides, by way of his witty comments, a new perspective on each work.